It was really affordable. It was clean but not fancy. 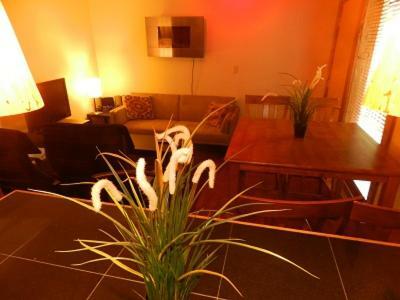 Great location near the Olympic center and within walking distance to great places to eat. Great location, great unit, clean, nice kitchen, good tv in living room. Fan in closet. Zone heating. No hassles, easy self check in. The apartment at first glance looks run down but is very nice inside. Having essentially a full place to stay at was nice for the weekend rather than just a hotel room. Just a short walk away from lake placid village, and it was about 15 min away from Whiteface ski area. The apartment was a cozy fit for my family of 5. 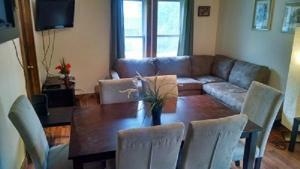 Cleanliness, spacious, good location for walking into town, lots of windows; nice gentleman assisted with T.V. The apartment had everything that we needed. It was warm and cozy. There was not much parking but everyone worked together by moving cars around when people needed to leave. Very easy to check in and get our key. The host was super nice and helped us out whenever we needed it. Super clean!! The best thing was the location. And the kitchen facilities were good for cooking and hanging around. Only a short walk from Mirror Lake and the Olympic Center. Kitchen has everything you need. Everything was clean! The location while not in walking distance to main St was a quick drive. 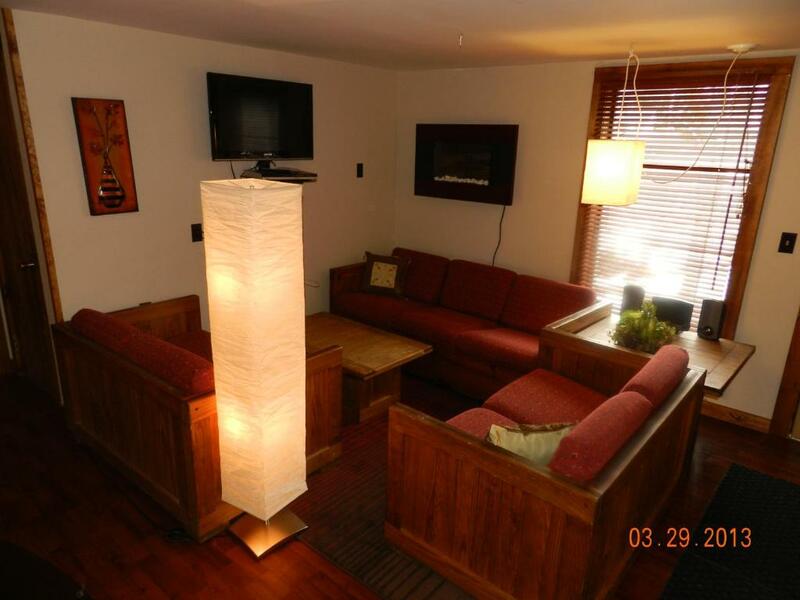 Providing barbecue facilities, Blue Frost Apartments is located in Lake Placid, not far from Herb Brooks Arena. Free WiFi is featured. The units come with hardwood floors and feature a fully equipped kitchen with a dishwasher, a dining area, a flat-screen TV, and a private bathroom with shower. 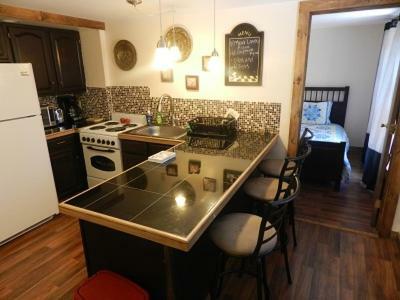 There's also a oven, microwave and an electric tea pot. Lake Placid is 1.4 miles from the apartment, while Lake Placid Winter Olympic Museum is an 8-minute walk from the property. Plattsburgh International Airport is 48 miles away. When would you like to stay at Blue Frost Apartments? All units in this building were completely remodeled in 2012. The apartments were located just a block from Sports Arena and Main Street. 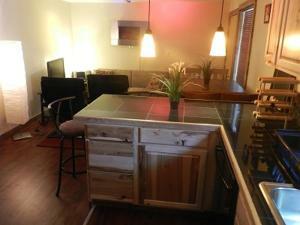 House Rules Blue Frost Apartments takes special requests – add in the next step! Blue Frost Apartments accepts these cards and reserves the right to temporarily hold an amount prior to arrival. We were there 3/22-3/24/2019 and had unit #3. 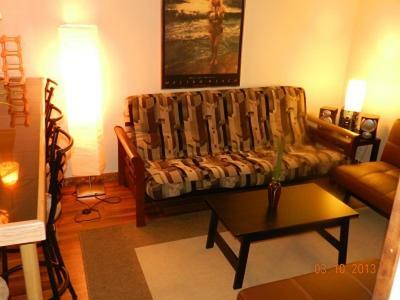 I wish the pictures would detail the particular place you rent and not just ones from every apartment randomly. It was a fairly comfortable bed (double) but if I had known, I would have picked another unit. Double is pretty small for my 6'3" boyfriend and me. Kids were happy-2 twins in one room and the other slept on the fold down couch. Parking depends completely on the other people in other units. There are maybe 5 spaces but no way to park more than 2 cars without blocking others in. Shower was pretty small but useable. Mattresses were too firm for us. Bedrooms have no cable/tv(master bedroom has a tv but only with dvd/vcr). Bath water was discolored. 3rd floor unit with only oitside stairs. Parking a bit tight but managable thanks to other pleasant guests. The ad had said there was a pull out couch bed which their was not. Also the beds and pillows are extremely old. The bed could possibly be older than me at 31 years old I’m not quite sure all I know is you can feel every single spring pushing through. Lastly the parking situation is a hot mess. All in all not really things that were a big deal as it still worked out better than a hotel. The kitchen faucet is angled so that if turned on high it will spray anyone standing at the sink. It snowed 18 inches while we were there. Woke up to snow that had blown thru the gap at the threshold by the front door and covered our boots that were there. The place was small , in the pictures they make it look big . They claim it sleeps 5 it's more suited for a couple definitely not kids. There were no sheets or blankets for the futon. I should have waited till the night i got there to book because it was a $100.00 cheaper, I supposedly got it at a great rate..... obviously not that great. It was close to our venue. There were dirty sheets upon arrival. There were no cleaning supplies as in a vacuum cleaner or broom. One of the toilet flush badly. The cubboard a little wonky. Smoke coming up from downstairs which wasn't appriciated by us. Things were quickly fixed or tidied up when needed. After getting in contact with the property manager. Couch was as uncomfortable as they come. Shower curtains were smelly with mildew and beds were very uncomfortable. 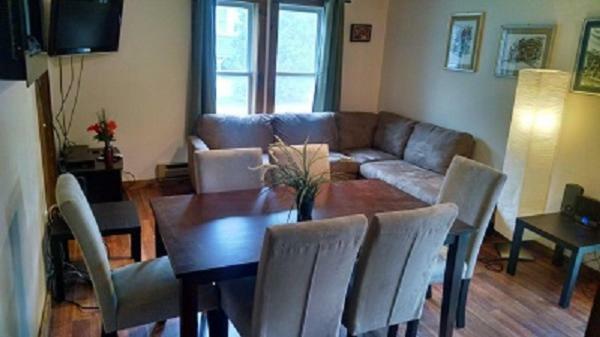 Very nice location and host and cleaning people friendly. Bathroom was tiny hard to move around in. Beds very squeaky, but comfortable. Shower is super small. Bare bones furniture wise in bedrooms.